Hanoi (VNA) – Thai Prime Minister Prayut Chan-o-cha visited some northern areas of this country on April 2 to examine local air pollution. He visited the city of Chiang Mai, a renowned tourist destination that has been hit by prolonged smog recently, and the city of Chiang Rai, the venue of the ASEAN Finance Ministers’ and Central Bank Governors’ Meeting this week. The PM said he had ordered relevant agencies to alleviate the problem within seven days, starting with 1,900 targeted areas across nine provinces. He added that the government has given out nearly 2 million masks to residents in the area. Government data shows that the air quality index in Chiang Rai reached levels considered unhealthy at 240 to 250. 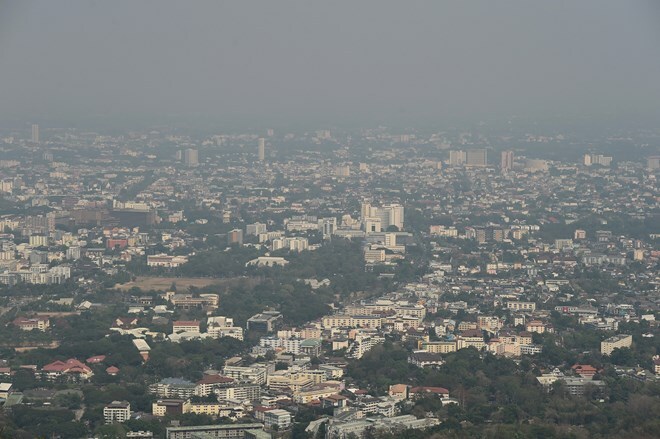 The Climate Change Data Centre at Chiang Mai University said the smog problem in the nine northern provinces is due to drought and more illegal burning in forests.